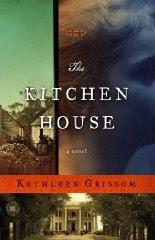 Thanks to the graciousness of author Kathleen Grissom and Touchstone Publishing, I have 1 copy of The Kitchen House up for grabs! Giveaway is open to US and International entries and ends on March 5th. To enter, all you need to do is leave a comment and include your email address. Easy peasy! SYNOPSIS: When a white servant girl violates the order of plantation society, she unleashes a tragedy that exposes the worst and best in the people she has come to call her family. Orphaned while onboard ship from Ireland, seven-year-old Lavinia arrives on the steps of a tobacco plantation where she is to live and work with the slaves of the kitchen house. Under the care of Belle, the master's illegitimate daughter, Lavinia becomes deeply bonded to her adopted family, though she is set apart from them by her white skin. Eventually, Lavinia is accepted into the world of the big house, where the master is absent and the mistress battles opium addiction. Lavinia finds herself perilously straddling two very different worlds. When she is forced to make a choice, loyalties are brought into question, dangerous truths are laid bare, and lives are put at risk. Wow, this novel sounds like a must-read! Thank you for bringing it to my attention and allowing me a chance to win a copy. I would love a chance to win this one Amy! I haven't read a good book set in the south since Midnight in the Garden of Good and Evil - would love to try this one! Ooh, pick me please and I'll be your best friend forever and ever! Thanks for sharing this book! I'd love to win. This sounds interesting. Please count me in! I love stories from this time period. Please include me. Thanks. Thanks for another wonderful giveaway. Please count me in. Except for Carson McCullers, I rarely read books about/set in the south -- and I've never read about indentured women servants. Sounds like a wonderful book and I'd love to read it. thanks! I am intrigued by this book and would really like to read it. Stories set in the South are always fascinating to me. Please enter me in the giveaway. hmmmmm...i like books about the south (well, mom from miss. and dad from tenn, what do you expect). i am wondering if this is less about the south than it is about people interaction. it does sound like a good read. please enter me. This sounds fantastic. I've never heard of a situation like this in historical fiction, and I'd love to read this book and find out what happens next. Throw my name in the hat! I'd love to read this book. I'd love to win this. Thanks for the chance! I just brought this book home from the library and have started reading it. The author has grabbed my interest from the first chapter. I would love to own this book. Please enter me. Thanks for hosting the giveaway, Amy! Please enter me. This looks like a good book. Would love to win a copy. Looks so good!! Thanks for the chance. I read some great reviews of this book! Cannot wait to read it. Please enter my name. Thank you!! This sounds like a great book! I love books with Southern themes. This sounds like a great story! Thanks for the giveaway! This sounds like a book I would absolutely enjoy! Thanks so much for the contest. This sounds like it would be very interesting. Please enter me for it..
Ooh this sounds like a great read! I am a really big fan of historical fiction set in plantations, so this is definitely going on my 'to-read' list! Wow, the plot sounds really interesting. This book sounds as if it has a very original and intriguing twist on the usual Irish immigrant and black slave novels. I think it could be a fscinating read. I've read great reviews on this book. Please count me in. This book is going to move to the top of my TBR list if I ever get my hands on a copy! Please enter me. I'm so jealous you're reading Shadow of the King right now! I pre-ordered it and can't wait to read it. I LOVED the first two books. I've had my eye on this one! Please enter me. I'd love to read this book. Thanks for the opportunity to win a copy. Many people do not know England had what was basically a white slave trade. Hundreds of thousands of Irish men, women, and children were sold into slavery and indentured servitude. Many didn't survive. It was England's answer to the Irish problem. I'd like to be entered in the contest! Thanks! This sounds fascinating and I would so love to win this! Thanks for giving your international friends a chance. Different twist on a "southern plantation" read...very interesting. I've added this to my sidebar as well Amy. This is one I really want to read. Please enter me. Sounds great - thanks for the opportunity to win a copy. I'm seeing this everywhere, but no giveaways. Thanks for hosting one! This sounds like my type of book! Please count me in. Thank you! This one is on my "must read" lost! Please enter me. Thanks! Oh wow, this sounds fantastic and unlike anything I've ever read before. Please do enter me. You gotto make me win this one LOL! As a Southerner, I love reading books that take place in the South and this one sounds exceptionally good. I'd love to be entered. I keep hearing about this book. It is one I really want to read. Thanks for the contest. I'd love to win!! Another book I'd not heard of before which sounds very exciting, I'd be thrilled to win it. This sounds facinating. Please enter me. Can't believe it a book about plantation life and a girl from Ireland my library would be blessed with this book. This one looks great. Would love to win it! Oh, I read one chapter online....this is a WINNER!! Please count me me. Thank you for hosting this giveaway. I would like to enter please, I think it is great that you host these giveaways to the public. I would abosultely love to win this one. Sounds like a book I'd love to win! Oooh, this sounds good. I would love to read it.